Partial solar eclipses occur even more frequently and happen somewhere in the world about 2 times per year, and there can be even more. 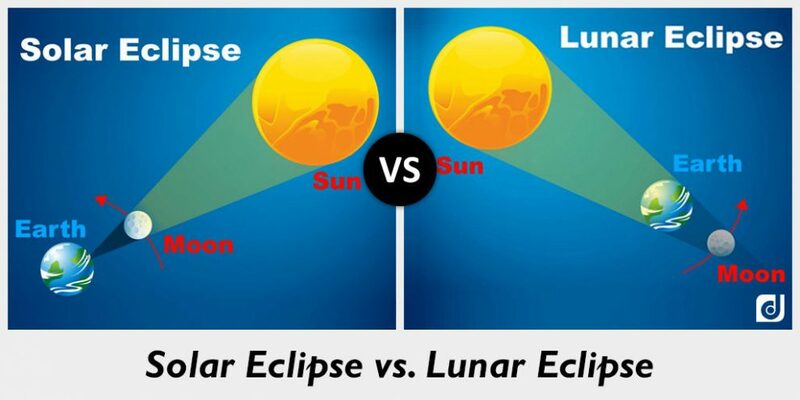 All solar eclipses also have corresponding relationships with lunar eclipses. The darkness during the crucifixion of Jesus mentioned in the Gospels could not have been an eclipse, where the moon blocks out the sun. It was Passover which means there was a full moon. There cannot be a solar eclipse during a full moon. During a full moon, the moon and the sun are on opposite sides of the earth, with the moon fully reflecting the sun’s light. During an eclipse they are on the same side. 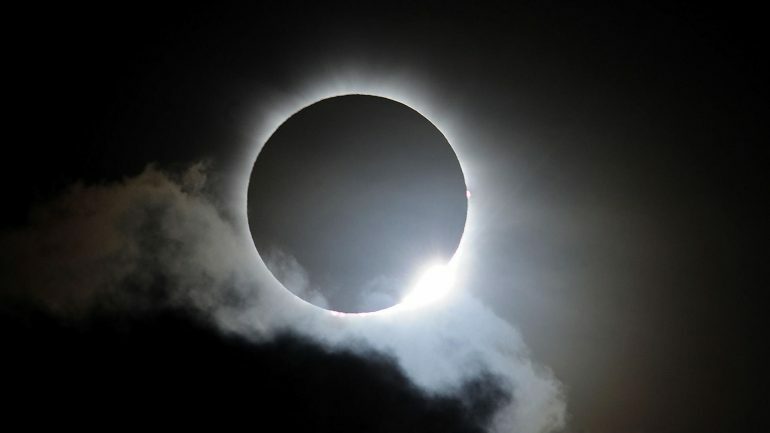 In line with points #1 and #2 above, it isn’t amazing, spectacular, or miraculous that an eclipse occurs on or near the beginning of a Jewish month because a solar eclipse always occurs during or near the new moon phase, and new moons always mark the beginning of Jewish months, which are lunar. (Likewise, lunar eclipses are going to occur near the full moon. So, “blood moons” which are lunar eclipses happen during, say, Passover). The point at which the eclipse begins to crossover the U.S. (UT 17:16) is not the same time as sundown in Jerusalem (7:16 PM). Those claiming that this is the case have not realized that Israel has their own Daylight Savings Time, so Israeli local time right now is UT+3, not the standard UT+2. 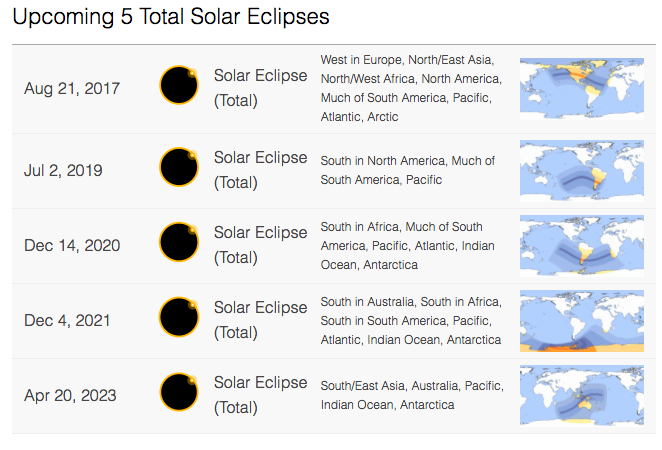 So the time in Israel when the full eclipse arrives in the US is 8:16 PM, one hour after sunset. So, no, Mr. Cioccolanti, it’s not the “exact minute of sunset.” Nor is it true that “the sun goes dark in America and the sun goes dark in Jerusalem at the same time.” Nor is is “pretty poetic if not prophetic.” It’s none of the above. While it is true that the path of the eclipse crosses over zones that could be significantly affected by earthquakes, the eclipse does not cross directly over the New Madrid Fault. It crosses north of it. The New Madrid Fault is in SE Missouri, NW Tennessee, and NE Arkansas, with the majority of it falling in Arkansas, which is not in the path of the total eclipse. The largest area of dangerous fault zones in the US are not under the path of the eclipse, and many states would be dramatically affected by a major New Madrid quake. Most of these are not in the the path of the eclipse. It is true that in some Rabbinic texts (as well as Muslim texts) eclipses are often signs of judgement. However, in the entire Talmud (which is multi-volume), only one passage discusses eclipses. (And, regarding, the point below, none of this passage or any other ancient Jewish text mentions an eclipse in relation to Jonah). The Bible does say that the lights in the heavens are for signs (ʾotot אתות) and seasons (moʿadim מועדים). The former indicates any kind of sign or symbol, the latter indicates seasons for gathering or festivals (a good translation would be “meeting-times”). The Bible also uses language about the sun, moon, and stars about great and cataclysmic days/times of judgement. Things like “blood moons”, the sun and stars being blackened, or stars falling from the heavens. The magi from the East knew about Jesus because of a sign in the heavens. However, please note: This does not mean that it’s okay to make up our own theological half-truth and false garbage (and sell books full of it) anytime something happens in the sky. Biblically, signs from God are not whims or speculation. Remember, Someone important said an evil generation seeks after signs.